A simple trick to make work a bit easier. Whenever you have folder with a few files and you often need to run a certain program or change to another folder afterward working with the files, create a Windows shortcut in this folder. 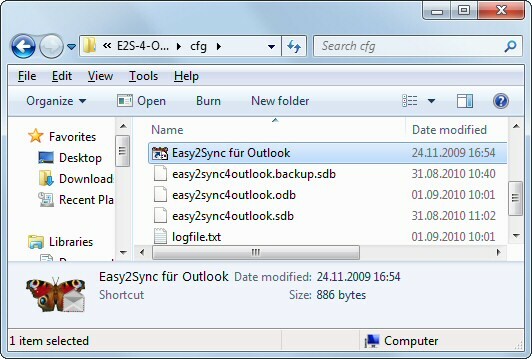 The Easy2Sync for Outlook configuration files are in this folder. Whenever I have to mess with them (delete them for a clean-start-test , for example) I will usually want to run Easy2Sync for Outlook afterwards. That’s why I created a shortcut to the program in this folder.